A week after Mail.Ru reported its dubious undertaking involving a virtual poker system for money, the Federal Antimonopoly Service (FAS) discovered 30 suspicious companies owned by the company. 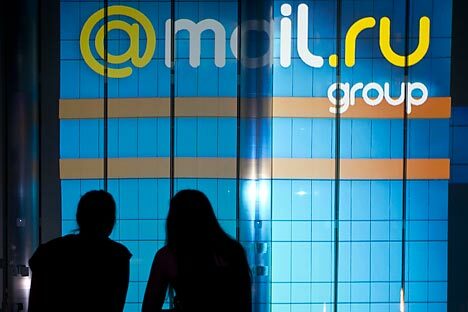 According to the application submitted to the FAS by a subsidiary of the media holding Naspers, Mail.Ru Group is the owner of about 30 Russian Internet projects and other companies that had not been previously publicized. The company owns the advertising firm Direct Contact, the payment system Express Gold, the manufacturer of recorders for the Pay Kioskpayment terminals, and two companies specializing in the development of lotteries for these terminals. In addition, the Mail.Ru Group still owns 51 percent of the online service NoNaMe, the acquisition of which was reported by another company, Roem.ru, in 2010. Despite the fact that the resource is positioned as a platform for the exchange of free content, it turned out that many of the materials placed on this site — in particular, movies and software — were pirated. The Non-Profit Partnership of Suppliers of Software Products has a special account to remove such content. Citing a source in the Mail.Ru Group, Hopes & Fears reported that the company was not involved in the project. “In the future, it may be either ‘put in order,’ or sold,” reads the statement. Taking into consideration that NoNaMe is visited by 100,000 people per day, the potential revenues from advertising on the site are estimated at $400,000–$600,000 annually; most of this is now used to redirect traffic. Previously, Mail.Ru announced its plans to enter the international games market with a virtual poker system, where chips are purchased with real money. This decision caused mixed reactions from experts, as this company decision is in contradiction of the laws of the Russian Federation, which prohibit gambling.